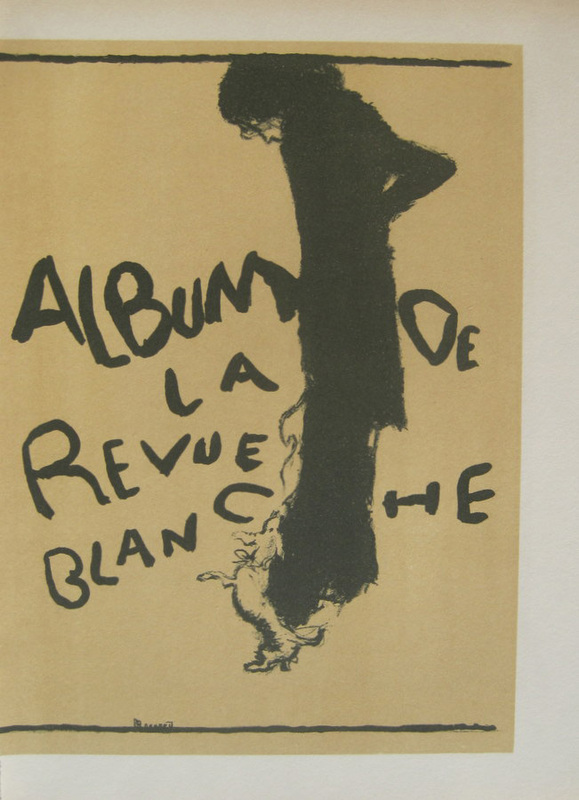 The subtitle, shown on this book cover (by Pierre Bonnard [1867-1947]) which graduated to fine-art lithograph, in 1892, runs “Ways of Decadence” [the Demi-Monde]. 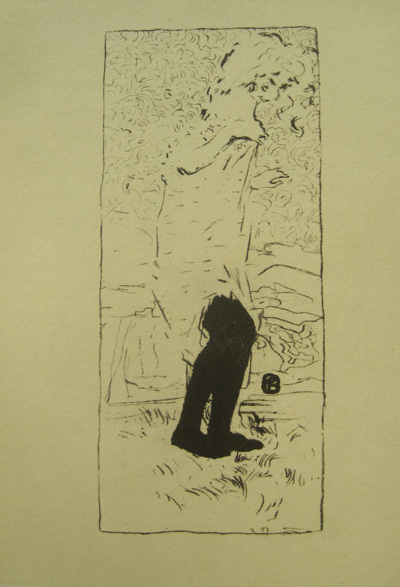 Though the smashing portfolio of Bonnard’s studies of Paris life covers much more than that dimension, it is the moments of far from perfect tuning which are of special interest to this posting. We love Paris not simply for its abundant prettiness but for the denizens’ so forthrightly and passionately expressing life as hugely out of control. 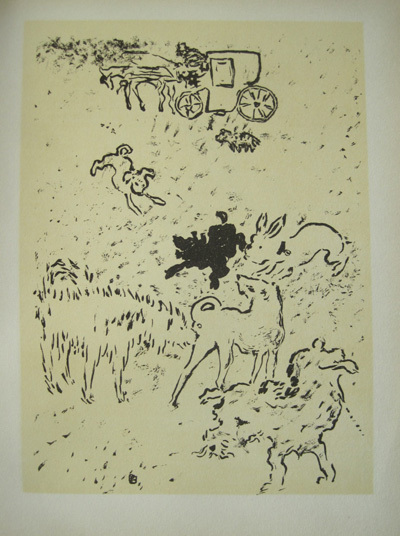 So we have, from the portfolio of glorious printed works–Bonnard Lithographe (Monte-Carlo, 1952)–“Reine de Joie,” the novel and the paragon, not having a good day. But her presence as trying to detach itself from a swamp of messy business (even if fairly upscale) gives us a wonderful day of truth, indeed. 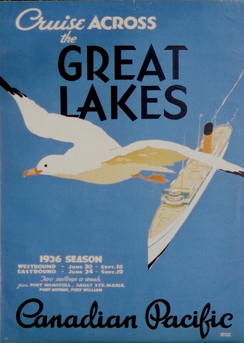 The color distribution is a model of classiness in the service of distress. Another cover for a publication lifted to decorative purposes, this work gives us not only the bite but the resilience of the artist’s sensibility. Revue Blanche was a Belle Epoque magazine bringing forward the cutting edge of the City and the Cosmos. Bonnard’s both revering and challenging those bright sparks is a model altogether austere, impulsively reckless (the text almost a paroxysm) and totally inspired. We have juxtaposed here an impassive would-be perusal of the goods which, on second thought, turns out to be someone who’d rather be walking her dogs. A witty stance in face of crude (graffiti-like) commercial hard sell. Is this night life or a still life? Ensconced in a pricey loggia, the couple’s attention seems to be taken hostage by the hoopla of the City’s cultural cauldron. All Paris a stage! The subdued and fertile color spiel about to be engulfed by the barely manageable menu on the table. 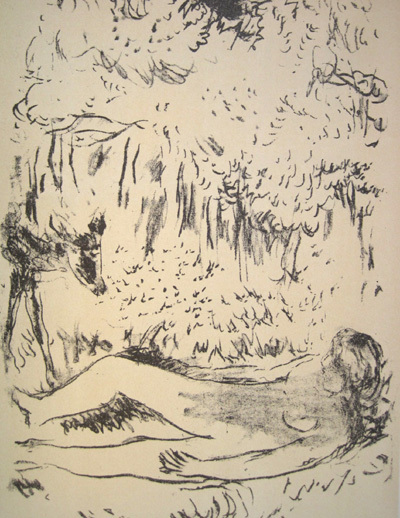 Here Bonnard, who would go on to produce Cote d’Azure paintings stressing affinities with the jungle–a tameable jungle–tingles with an incomprehensible malaise. 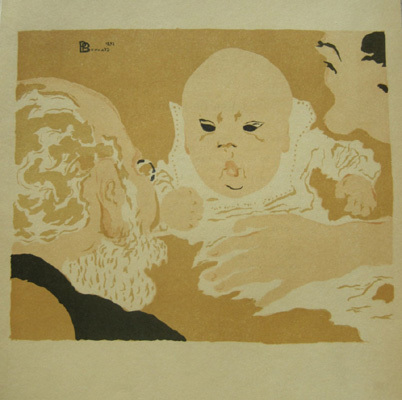 I love how the greybeard’s grey beard links to the infant’s spotless white gown. Trying to get a smile out of the baby; but they’ve been rebuffed from way back when, and they haven’t given up hope. I also love how the kid paradoxically looks older than the grandparents. Why that hard set to the face? 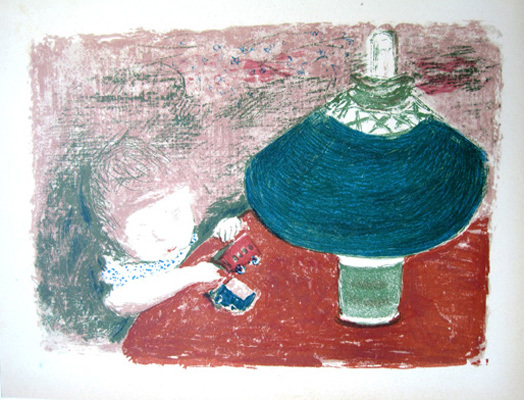 Bonnard was always thinking and thereby his works were always rewarding. Is there such a thing as an awkward elegance? In Bonnard’s view all of Paris was about awkward elegance! A witty, cutting and yet affectionate rendition of the City of Light! And then, once in a while, the outer limits of this most sensual City burst into glory! Rendering this accomplishment in monochrome holds the tuning to truly rare and uncanny insouciance. 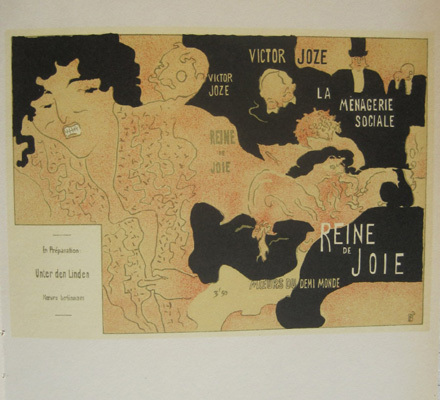 The wider production context here consists of illustrating the sexually volatile work of poet, Pierre Louys. 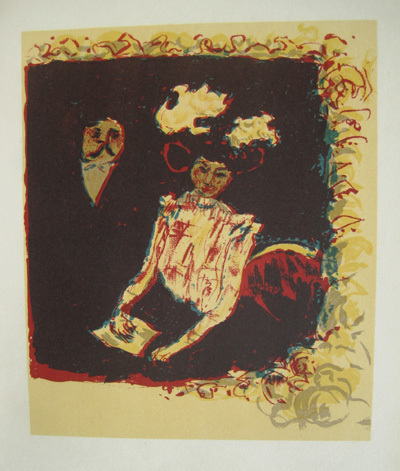 This entry was posted in Art Nouveau/Belle Époque Posters&Graphics, Illustration Art, Illustrators and tagged Belle Epoque, lithographic portfolios, Paris, Pierre Bonnard. Bookmark the permalink.